1. Jindal Saw Ltd is a 2 rupee face value Construction & Engineering company. 3. Promoters of Jindal Saw Ltd hold 51.27 %FII hold 10.19 % and DII hold 13.66%. Promoters increase their holding from 46.27% to 48.83% in March 2015 and now promoters holding is 51.27%, I like increasing promoters holding because I think promoters knew their company well. 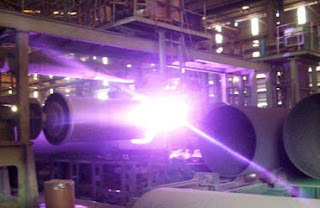 Short Introduction of Jindal Saw:-Jindal SAW Ltd. is the market leader in manufacturing of large diameter submerged Arc Welded (SAW) Pipes using U-O-E, J-C-O and Helical Processes. The SAW Pipes are mainly used in transportation of Oil, Gas, Slurry and Water. rupee per year dividend since last 4 years. 5. Base price of Jindal Saw Ltd is 70.08 So Current market price is near 14% below then base price. 8. Book value of Jindal Saw Ltd is 138.86 CMP is 50% below from book value so in book value concept this stock is a value buy. 9. Overall Jindal saw is a best buy for long term due to higher book value and higher net sale per share. 10. 200 DMA of Jindal Saw Ltd is 66.90 So at CMP 61.80 jindal saw is trading below his 200 DMA but once this stock cross price of 67 then it is rocking, long term holders advised to buy at CMP but traders advised to buy this stock when it cross 67. 11. My recent updates :- Chandu Stock Market journey with me. 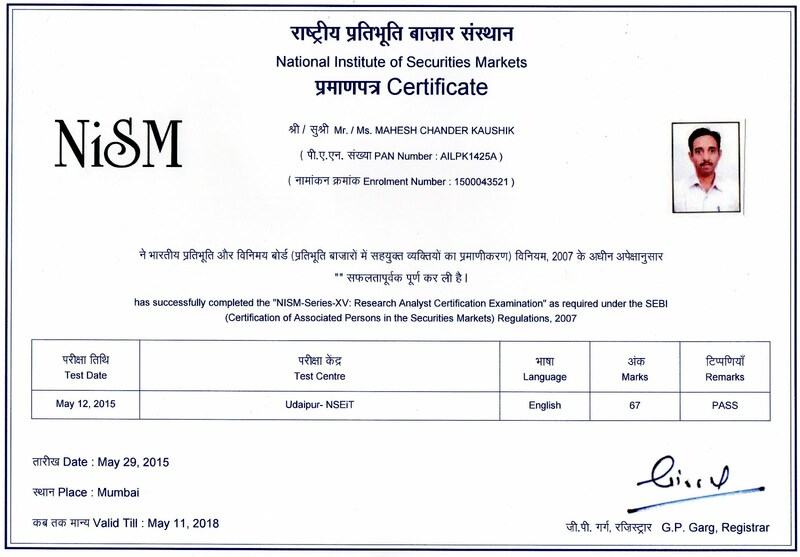 13.Discloser:- I Mahesh Chander Kaushik author of this research report is an existing research analyst and passed NISM certification for research analysts. I am also registered under SEBI(RESEARCH ANALYSTS) REGULATIONS, 2014 ( SEBI Registration Number INH 100000908 ) hereby disclose about my financial interest in the subject company and the nature of such financial interest:- 1 Me and my associates or relatives have not hold any share of Jindal Saw Ltd so my personal interest is not included in this stock. 2. Me and my associates or relatives have not any actual/beneficial ownership of one percent or more securities of the subject company ( Jindal Saw Ltd). 3. Me and my associates or relatives have not any other material conflict of interest at the time of publication of the research report. 4. Me and my associates or relatives have not received any type of compensation from the subject company(Jindal Saw Ltd) in the past twelve months. 5. I am not served as an officer, director or employee of the subject company ( Jindal Saw Ltd). 6. I have been not engaged in market making activity for the subject company (Jindal Saw Ltd). Please let me know whether I can average SBI at this CMP 204? I'm already holding 500 shares at 238. I'm a long term investor. Thank you for your reply, Sir. I started following your stocks and investing 5000 on recommended stocks. I'm traveling with you in 2016 hope we see the best. I m a big fan of u. One of my friends identify a stock..JAIN IRRIGATION. suggest sir is it right stock for buying..
Jain Irrigation Promoters holding is 28.73% and they pledged his 26.99% , Selling is down, so low promoter holding with 26.99% pledged stock is a concern and my view is negative. Again it's me what is your view on "Time Technoplast Ltd.". Is it going to be a multi bagger? I'm investing in this stock in SIP basis monthly 20 shares. Great, It seems most of good construction and engineering companies are stable for 2017 multi baggers. Sir, what is your view on sintex indistries . Promotor holding in the company is decreased. How do you calculate the base price? DEAR SIR...guide me ...I m doing right. How it is? Pls views on dena bank. Please provide your views on JayShreeTea. please give some advice for selecting stock on the basis of share holdings. Can I buy jindal saw now ?? jindal saw has dropped to 45 from 60. should i buy more or sell for loss. Please share your comments on NFL on the current price. I bought Jindal Saw Ltd. according to Year high/ low ratio is below 2 but market is down and it is above the 2 then what should we do? 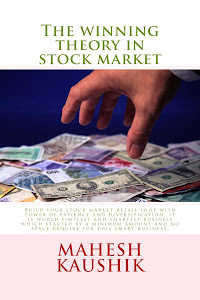 If you buy it for trading purpose then as my theory of reverse trading system you must sell it on 46.20 ( when year high/low ratio cross over 2) but personally I buy stocks in samll quantity and for investment view so I still hold 100 share of Jindal Saw and do not worry to see temporary fall in prices and do not average out, if I have fresh money I always invest it in a new stock. Jindal Saw is consistently going down. Do you think it is still a good buy?